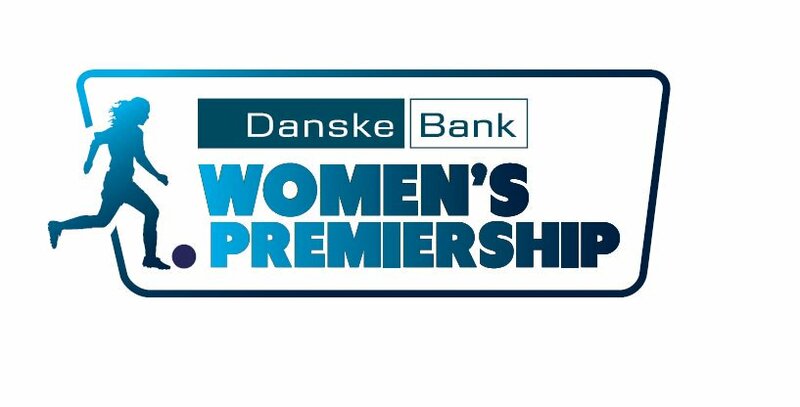 Glentoran won 5-0 away to Crusaders to jump above them into third place in the NIFL Danske Bank Women’s Premiership, ahead of the Electric Ireland Challenge Cup semi-finals on Saturday evening. 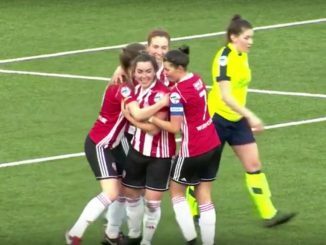 Derry City recorded their second league win over Portadown to open up a seven point gap between the sides at the bottom of the Dankse Bank Women’s Premiership. All the goals in Monday’s match came in an 11-minute spell, as Ella McLaughlin opened the scoring on 21 minutes and Leah McDaid added a brace. Megan Bell bagged a brace in the opening half an hour or so, with the first on the rebound from a Kirsty McGuinness 25-yard effort that hit the post. Leading league scorer McGuinness made it 18 for the season so far, with a powerful shot into the top left corner on 80 minutes. 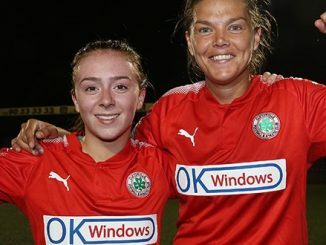 Amber Dempster, Haannah Grieve and Shannon Grattan got the goals in the first 45, while Portadown’s Julie Henderson suffered concussion following a clash of heads with Megan Weatherall. Grieve and Dempster both double their tallies with Emma McMaster scoring in-between. 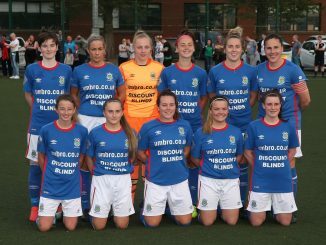 In the last half hour, Billie Simpson, Niamh Connolly and Marissa Callaghan all got on the scoresheet, while Dempster completed her hat-trick. Demi Vance put them ahead with a spot-kick after a handball decision was given against Grace Murray. Caragh Milligan, Ali McMaster and Nadene Caldwell added one each and the unfortunate Murray conceded an own-goal when deflecting in Aimee Lee Peachey’s effort. Saturday 18 August sees Sion Swifts tackle Linfield at Mill Meadow, Castledawson, while Cliftonville go up against Glentoran at Bangor Fuels Arena, with both ties kicking off at 8pm.